Project management with online software to manage your projects online. Online project collaboration tools. Applications for planning, managing and controlling projects. 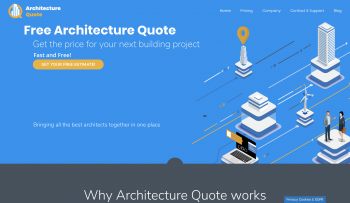 The ArchitectureQuote platform is a disruptive dealflow platform for architects worldwide to discover and win more deals regularly. Additionally, the platform serves to improve the two way communication between architects and those that need their servers. The result is a simpler and optimized process of getting priced out for your next project and a chance for talented architects get more work with those in need of their services. 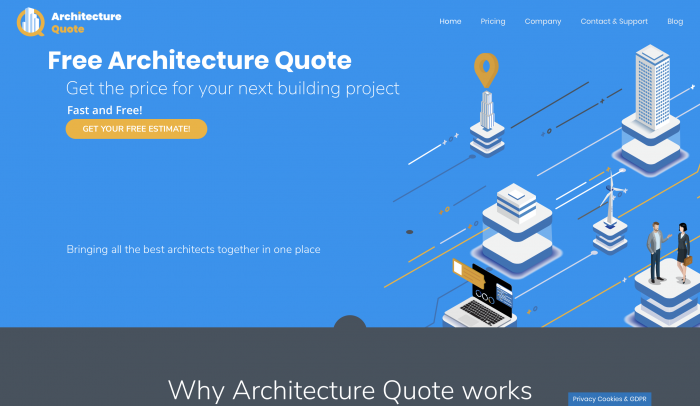 ArchitectureQuote with those interested in getting architecture services by providing a user-friendly platform to tackle and simplify a robust process. This platform identifies new projects for a industry desperate to find more work on a regular basis. By improving the deal-flow, Architecture firms can focus more of their efforts on producing great work and increase their chances of securing and maintaining new projects for the future.